While this extract was written over 70 years ago, it is good to see that the fundamentals haven't changed. Birds will still eat your produce and a fruit cage is still the best way to prevent them from scoffing the hard earned ‘fruits’ of your labour – sorry about that last pun. Replace hemp fish netting with a roll of inexpensive plastic fruit netting and you are on your way. However, scaring off birds by either firing guns or using small boys to walk around beating tins is no longer recommended as a garden solution. Do you find birds troublesome? Most soft fruits such as strawberries, raspberries and currants are frequently damaged by birds. To avoid this, a fruit cage may be erected. 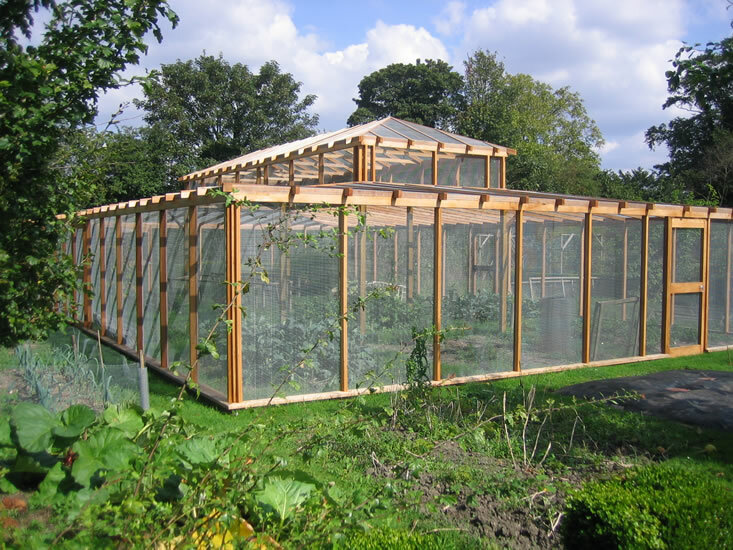 If you have any spare timber, a permanent one can be constructed for a small cost – well worthwhile when you think of the labour and the value of the fruit saved. 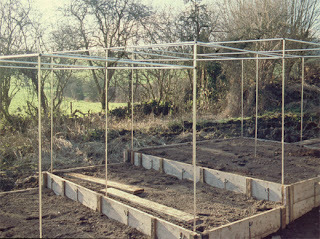 Erect the framework of timber and cover the whole with wire netting. Leave a door at one end, and make sure that this fastens securely so that the birds cannot get in through it blowing open. 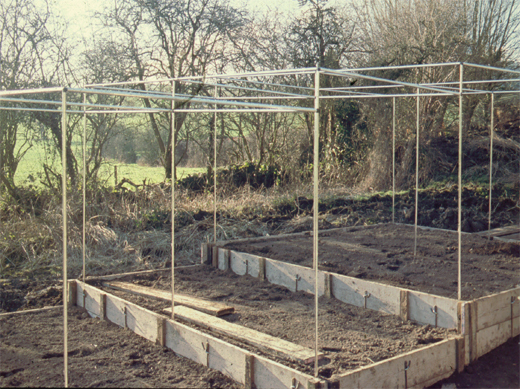 A cage of a less permanent nature may be made from fish netting. A portable timber framework should be set up and hemp netting thrown over this. Care must be taken to see that the strips are joined sufficiently at the entrance to prevent birds getting through at this point. When planting your soft fruits, remember this need for protection from birds and plant them near one another in a neat formation so that one cage will serve the entire quantity of soft fruit bushes. Against a wall it is a simple matter to throw netting from the top of a fence or wall so that the netting hangs in front of but not touching the branches. 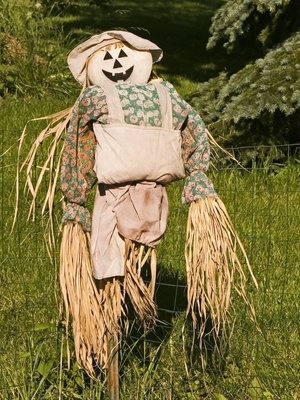 In large orchards where birds are troublesome and netting impossible owing to the size of the trees and cost of netting, various methods such as the scarecrow and hanging tins to frighten birds are tried. These are seldom much use. The occasional firing of a gun will help to keep birds away, or a small boy walking through the orchard beating a tin protects the fruit to a certain extent. We should always remember that we welcome birds to help keep down insect pests and eat weed seeds provided they are not to rapacious, should we grudge them a small share of the fruit?